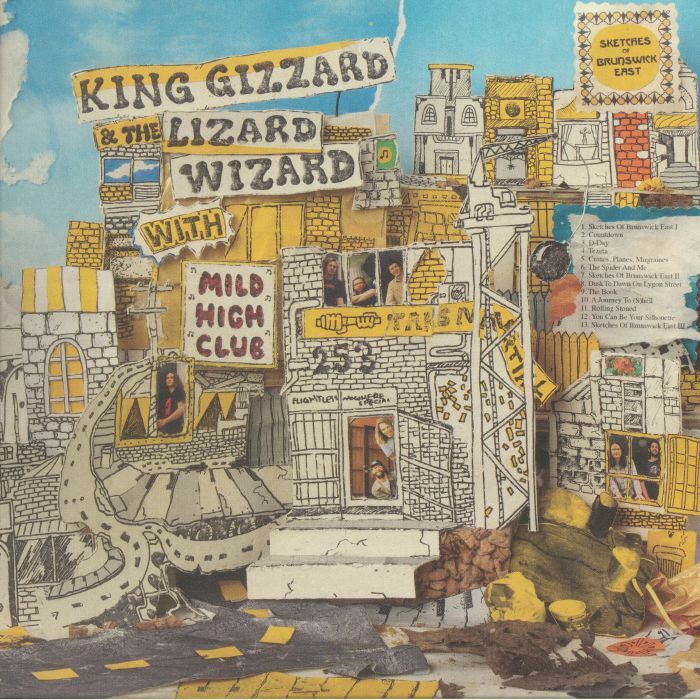 KING GIZZARD & THE LIZARD WIZARD/MILD HIGH CLUB Sketches Of Brunswick East vinyl at Juno Records. On their third studio album in half a year, hyper-prolific Aussies King Gizzard & The Lizard Wizard have chosen to team up with Mild High Club, the slacker psychedelia project of Alexander Brettin. The collaboration strikes a happy medium between King Gizzard's overbearing frenetic sound and Mild High Club's laidback stoner attitude. 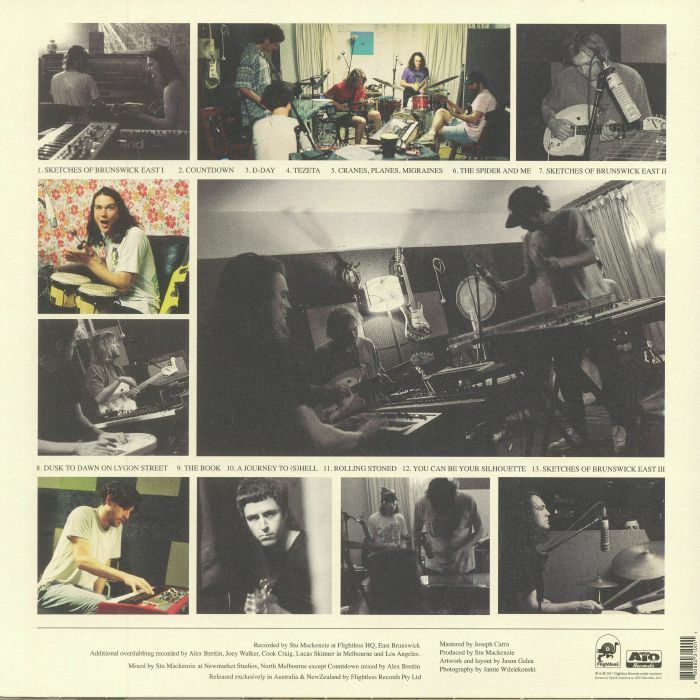 Sketches Of Brunswick East has all the King Gizzard hallmarks: time signature and rhythm changes, explorations of microtonal harmonics and eastern scales, but the introduction of smoky noir jazz nostalgia as well as North African and Ethiopian flavours make for intriguing additions. It's refreshing to hear that, despite being seemingly unable to stop releasing records, King Gizzard & The Lizard Wizard haven't run out of good ideas just yet.